Mr. Edwards also wants to extend a special thanks to Cecil Marrett, assistant principal at Hart County High School, noting he was instrumental in helping the school improve in his first year there. 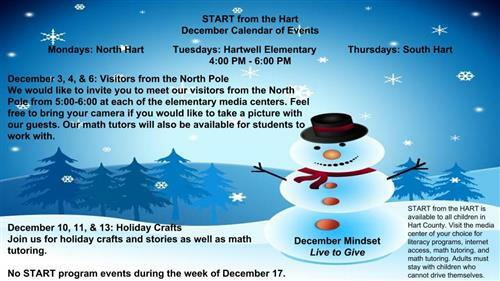 Principal Lydia Bennett at South Hart Elementary School: “Dr. J. T. Stewart is our assistant principal. He is a very organized individual, who has only the best in mind for the students and teachers he serves." The Hart County Charter System is looking toward the community for input and feedback as to the comprehensive needs for our schools. Input is specifically needed for the school system’s 2019 - 2020 Comprehensive Needs Assessment and District Improvement Plan, and the Title I School-wide Improvement Plans and the 2019 - 2020 Hart County Charter System Parent/Family Engagement Plan. Citizens of Hart County are invited to provide comment on the se plans and suggest any possible changes. The documents for both plans are the basis of how the school district will budget and spend federal funds to enhance the academic achievement of all students. 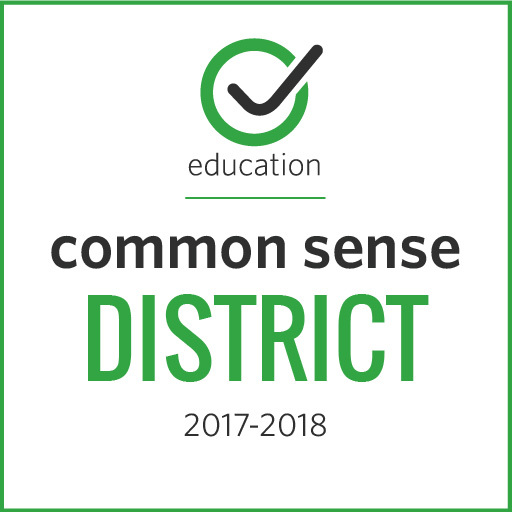 Parents and community members will review the 2018 – 2019 documents, providing input on changes, which may be considered for the upcoming school year. The plans will be available for review in the Professional Learning Room from 1- 3 p.m. on Tuesday, April 16 and 10 a.m. to Noon on Wednesday, April 17. The Professional Learning Room is located in the Board of Education Office, 284 Campbell Drive in Hartwell. Parents who review these documents will be encouraged to provide written feedback. 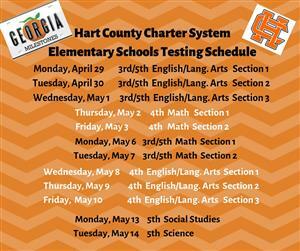 In addition, the documents are available for review on the Hart County Charter System’s website at www.hart.k12.ga.us. Comments are welcomed and can be emailed to jcarter@hart.k12.ga.us or lamar.scott@hart.k12.ga.us. 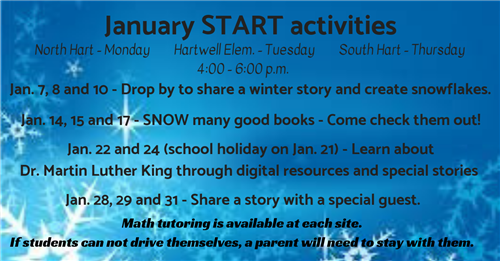 For more information, contact Jennifer Carter, Associate Superintendent, or Lamar Scott, Title I Director, by email or by phone at 706-376-5141. 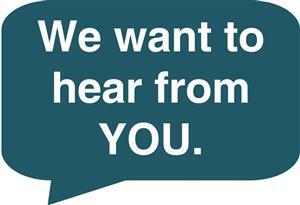 Hart County Charter System officials invite citizens to give their input on the Hart County Charter System’s 2019 - 2020 Comprehensive Needs Assessment and District Improvement Plan. These documents are the basis of how the school district will budget and spend federal funds to enhance the academic achievement of all students. In addition, officials are seeking input for the 2019 - 2020 Title I School-wide Improvement Plans and the 2019 - 2020 Hart County Charter System Parent/Family Engagement Plan. Parents and community members will review the 2018 – 2019 documents, providing input on changes that should be considered for the coming school year. The plans will be available for review in the Professional Learning Room from 1-3 p.m. on Tuesday, April 16 and 10a.m. to Noon, on Wednesday, April 17th. Assessment and District Improvement Plan. These documents are the basis of how the school district will budget and spend federal funds to enhance the academic achievement of all students. In addition, officials are seeking input for the 2019 - 2020 Title I Schoolwide Improvement Plans and the 2019 - 2020 Hart County Charter System Parent/Family Engagement Plan. Parents and community members will review the 2018 – 2019 documents, providing input on changes that should be considered for the coming school year. The plans will be available for review in the Professional Learning Room from 1:00 – 3:00 on Tuesday, April 16th and 10:00 – 12:00 on Wednesday, April 17th. The Professional Learning Room is located in the Board of Education Office at 284 Campbell Drive in Hartwell. 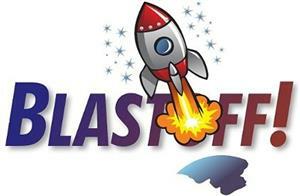 Parents who review these documents will be encouraged to provide written feedback. In addition, the documents are available for review on the Hart County Charter System’s website at www.hart.k12.ga.us. 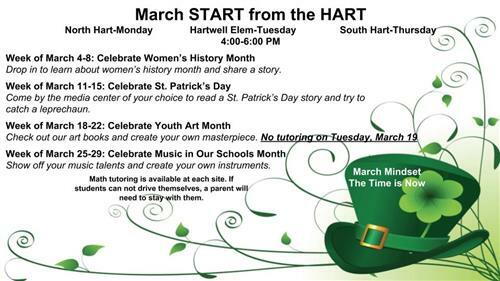 Comments are welcomed and can be emailed to jcarter@hart.k12.ga.us or lamar.scott@hart.k12.ga.us. 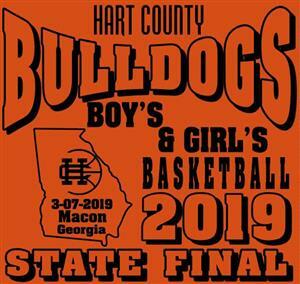 It is certainly a historic time for the Hart County Charter System, as both the Hart County High School Boy’s and Girl’s basketball teams will be heading to the state finals this Thursday in Macon, a result of the joint wins this weekend in Savannah during the Final Four play-offs. In light of these remarkable win, Hart County Schools will have an early release day on Thursday. Students, teachers and administrators will be released at noon (12 p.m.) on Thursday so supporters can make the trip to Macon. Superintendent Jay Floyd met with the school’s executive committee and principals Monday morning and decided to accommodate supporters by letting schools out early this Thursday. However, schools will remain on schedule Friday, with students, teachers and administrators expected to be present as normal. As in previous years, fan buses to the Macon game will be available, with buses loading at 1:30 p.m. Thursday at the high school. Buses will be loaded on a first come, first paid basis. Tickets for riding the fan bus are $10 per person. To purchase an advance ticket, contact the high school at 706-376-5461. Congratulations to both our girl and boy high school basketball teams on this great accomplishment and Go Dogs! Two fire trucks were parked outside the front entrance to Hart County Middle School on Thursday morning, while the common area at Hart County High School was flooded with students Friday morning, and Hart County Sheriff’s Office vehicles was parked just outside. It would be easy to question, is something amiss at these two schools this week? Actually, the opposite was true. In collaboration with Communities in Schools and Hart Partners, Hart County schools hosted community health fairs at each school during the two days, one at the middle school and one at the high school. The mission of each event was to highlight for students the community resources available to them locally, to help them partake in healthy lifestyles, and stay fit- physically, emotionally and mentally. These are all aspects of education which can lead to more productive and proactive students. According to repeated studies and research by the Center for Disease Control, healthy students are better learners and are more apt for academic achievement, while likewise have greater incentive to create a future lifestyle which reflects well-rounded, healthful habits throughout their adult lives. A variety of local partners were on display at each school, ranging from the non-profit MedLink corporation and St. Mary’s Sacred Heart Hospital, to advocates for the YMCA, Harmony House advocacy center, and Teen Textline crisis prevention service. In addition, representatives with emergency and protective services such as the local police and sheriff’s departments, EMTs, and U.S. Army Corps. of Engineers, were also on hand. Stay in the know with all the happenings in Hart County schools by checking our Spotlight on Schools feature under the Community Relations tab! You can find it here. More than two dozen local industries and businesses were represented on Wednesday, Feb. 13, at the Hart County High School Career Day Expo, as part of the CTAE Month celebration. From the City of Hartwell and the Hartwell Telephone Company, to several branches of the military and more, the community showed up to show off to students possible local employment options once they finish high school and post-graduation options. The career day expo is in conjunction with Georgia’s CTAE (Career, Technical, and Agricultural Education) month. Along with the career day, Hart County High School has also hosted a college day expo this week, and will bring in a financial wellness presentation, with host Dwayne Dye, on Friday. Hart County High School students were exposed to a variety of post-secondary options Tuesday, as representatives and recruiters from colleges located throughout the state. From Brenau University to Georgia College and more, filled the Fine Arts Center to show students what they can look forward to after graduation. The college day expo is in conjunction with Georgia’s CTAE (Career, Technical, and Agricultural Education) month. 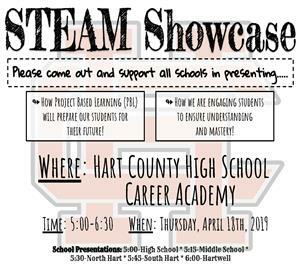 Along with the college event, Hart County High School will also host a career expo tomorrow, as well as a financial wellness presentation, with host Dwayne Dye, on Friday. SkillsUSA Region 2 Championships were held at North Georgia Tech in Clarkesville, Ga. on January 31, with students from Hart County High School taking an active part in the event. First and Second place winner represent Hart County and North East Georgia at State Conference in March in Atlanta. Ethan Sellers will also be advancing in HVAC. Other students who competed were Megan Crump in Job Interview, Taylor Steele in Cosmetology, Selina Gutierrez in Esthetics, Brenden Winburn in Electrical Construction Wiring, Jacob Coil in Carpentry, Ethan Stroud in Auto Service Technology, Karra Jordan Pin Design and Tahtiyana Maxwell in T-shirt design. 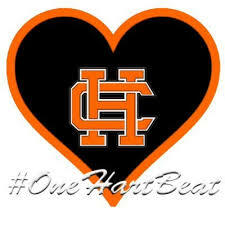 Hart County will have many more students who will be starting competing at state level. If you would like to help sponsor any of our wonderful students, just get in touch with any of the HCCS advisors. Stay up to date with the latest media coverage of Hart County Schools in our Spotlight on Schools tab! Registration information for pre-kindergarten for the 2019-2020 school year is now available! Registration will be held from 10 a.m. to 6 p.m. on Monday, April 22, and from 9 a.m. to 2 p.m. on Friday, April 26. 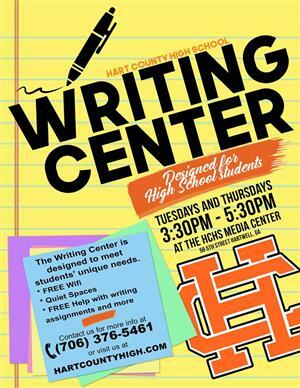 All registration will be held at the Hart County Agriculture Center, 1951 Bowman Highway. For more information, please call 706-376-5141. 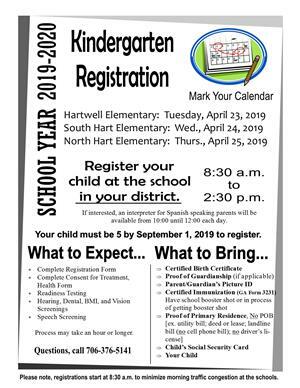 Hart County Elementary Schools are pleased to announce registration for the 2019-2020 Pre-Kindergarten Program. 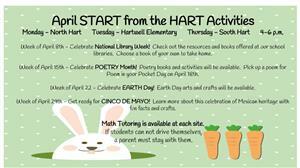 Pre-K classes are located at Hartwell Elementary School, North Hart Elementary School, and South Hart Elementary School. Transportation will be provided when a student attends school within his/her attendance zone. What do I bring to register? 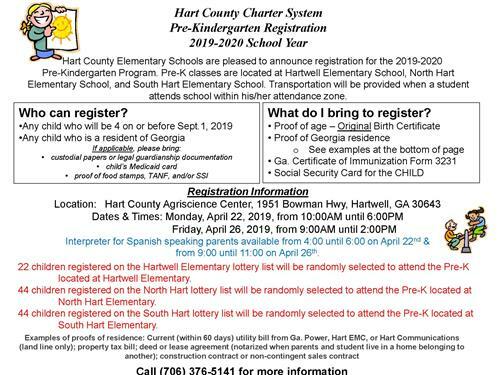 22 children registered on the Hartwell Elementary lottery list will be randomly selected to attend the Pre-K located at Hartwell Elementary. 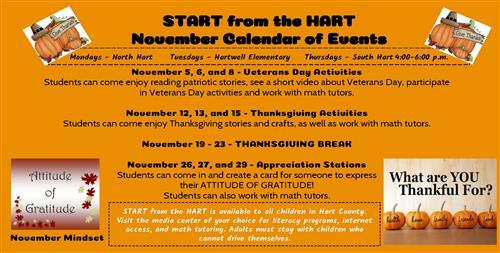 44 children registered on the North Hart lottery list will be randomly selected to attend the Pre-K located at North Hart Elementary. 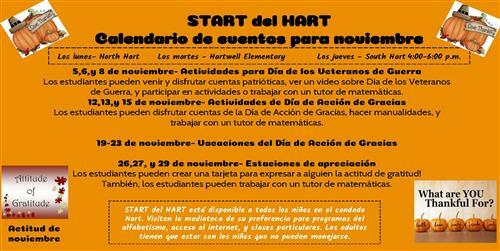 44 children registered on the South Hart lottery list will be randomly selected to attend the Pre-K located at South Hart Elementary. 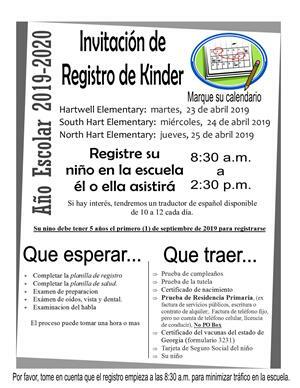 Dates and Times: Monday, April 22, 2019, from 10 a.m. to 6 p.m.
Friday, April 26, 2019, from 9 a.m. to 2 p.m.
An interpreter for Spanish speaking parents will be available from 4 p.m. to 6 p.m. on April 22nd and from 9 a.m. to 11 a.m on April 26th. Examples of proofs of residence: Current (within 60 days) utility bill from Ga. Power, Hart EMC, or Hart Communications (land line only); property tax bill; deed or lease agreement (notarized when parents and student live in a home belonging to another); construction contract or non-contingent sales contract. For more information, please call (706) 376-5141. 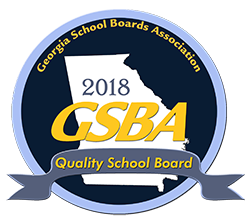 Parents of students in Hart County Schools, please take a moment to participate in the Georgia Parent Survey at gshs.gadoe.org/parents. This effort is part of the Georgia Department of Education School Climate Star Ratings project. Please only take for the survey for the school(s) your child or children attend. Find the survey here: https://bit.ly/2zKVjlj. 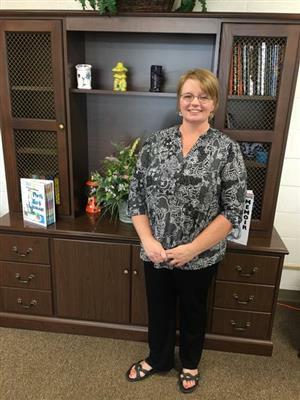 After 25 years in the classroom, Dannette Bowers-Davis has become a reputable part of the Hart County Charter System, making a positive impact on hundreds of high school students. It was with great pleasure today, Nov. 16, 2018, that School Superintendent Jay Floyd opened an envelope to reveal Bowers-Davis as the school system-wide Hart County Schools Teacher of the Year. To be named as the system wide teacher of the year, nominees submitted video and went through an interview with three out-of-county panel judges. Bowers-Davis will now move on to the state level Teacher of the Year competition. The state winner will be revealed in the spring. Having taught World History, Civics/Government and U.S. History at Hart County High School, Bowers-Davis has spent more than two decades educating Hartwell students. She is motivated daily by watching her students unveil the history behind their country, piecing apart the backbone of America and helping high school students connect the dots that make up the fabric of the nation. Known throughout the school system for her catch phrase, “Back that thang up,” Bowers-Davis is not only a character with a kind heart, she is a force field of energy, which ensures her students never leave her classroom without a passion for learning. Bowers-Davis has been married to William Davis, deputy sheriff for Elbert County’s Sheriff’s Department, for 22 years, and has three children: Brandi Davis, Corey Davis and Paul Davis. 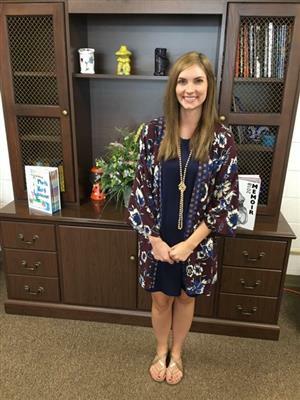 As well as an excellent teacher, she is likewise an excellent coach, serving as assistant coach for the girl’s basketball team at Hart County High School. Also nominated for Teacher of the Year were Kimberley Ayers, kindergarten teacher at South Hart Elementary School; Stacy Martin, special education teacher at North Hart Elementary School; Andrea Gibbs, a third grade teacher at Hartwell Elementary School; and Kelley Gaines, an engineering and video production teacher at Hart County Middle School. The current ESPLOST V referendum will be presented to Hart County voters on the upcoming November 6 ballot. ESPLOST V is a continuation of the one-penny sales tax, which has been in place in Hart County for 20 years and supports the school system’s efforts to continually improve educational efforts within our county. ESPLOST V projects will allow the Hart County Charter System to enhance student safety and security, replace outdated technology, prepare for growth, and maintain current facilities. The facts and information about the ESPLOST V can be found on our website, at ESPLOST V, under the programs tab. We encourage you to learn more about ESPLOST V before you head to the polls on November 6. Sept. 21, 2018-- Hart County Charter School System leaders are proud to announce their selections for the 2020 Teacher of the Year award. Selected among this year’s crowded field of talented teachers at the school system’s five schools are Andrea Gibbs, Hartwell Elementary School; Stacy Martin, North Hart Elementary School; Kimberly Ayers, South Hart Elementary School; Kelly Gaines, Hart County Middle School; Dannette Bowers-Davis, Hart County High School. 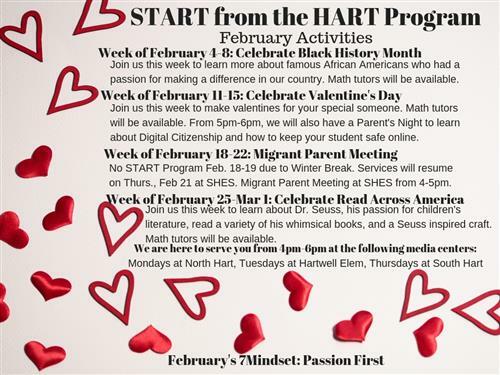 In the course of the next five weeks, the Hart County Charter System will provide weekly information posts about each teacher, profiling their background, areas of interest and why they love being a part of the Hart County educational experience. Hart County Charter System officials are excited to celebrate these five outstanding teachers and highlight their hard work and dedication to the students of Hart County. The Hart College and Career Academy and Athens Technical College would like to gauge interest in continuing education or personal enrichment courses for adults at the college and career academy. 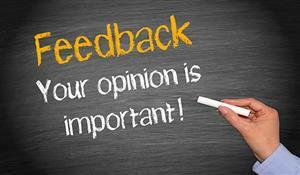 Please complete the survey below to share your thoughts.